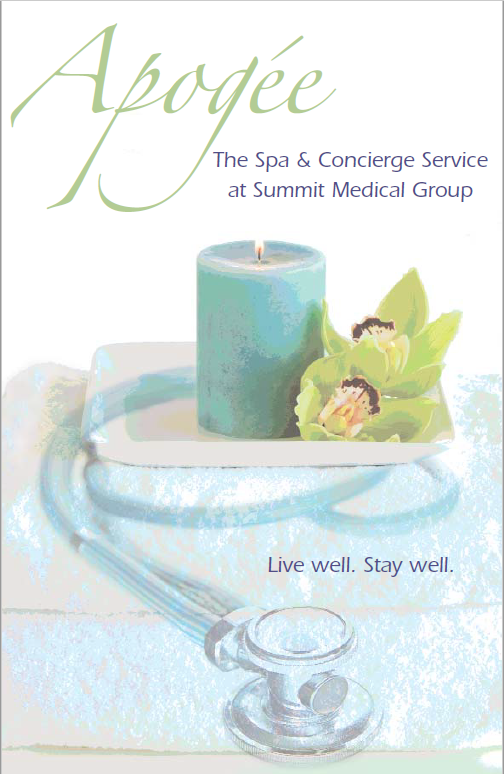 This innovative spa had the advantage of a full scale medical facility in the same building. 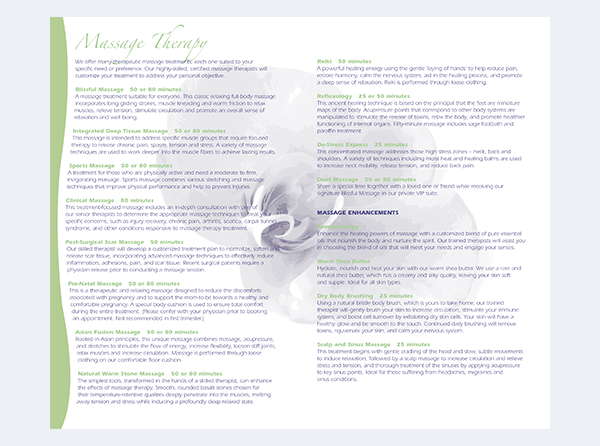 Massage and relaxation help to heal the body and mind. The orchid motif is the visual representation of the calm and relaxation that a patient would experience at the spa. 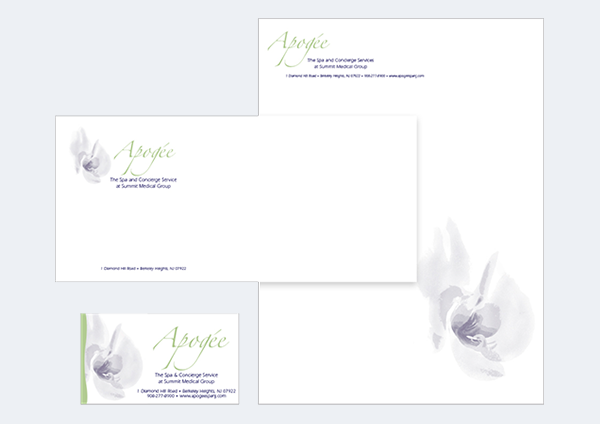 The orchid branding appeared on pocket folder, brochure and inserts, stationery, candle boxes and signage. 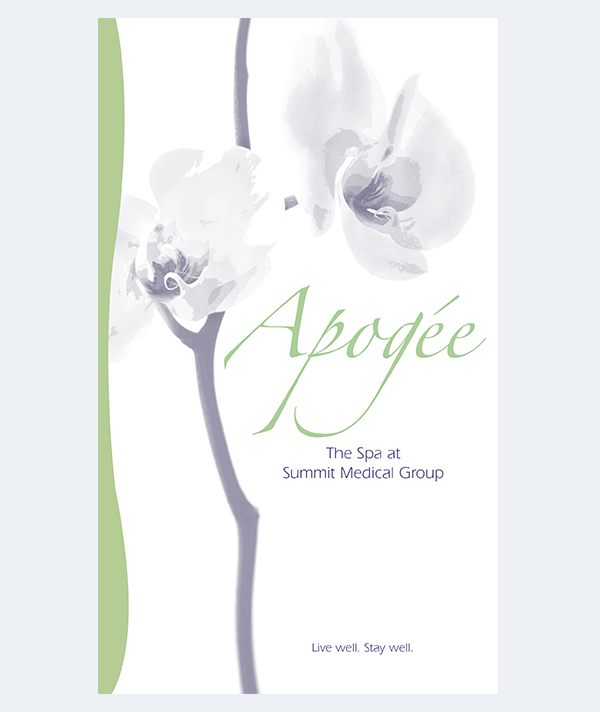 In addition to the orchid, the direct mail campaign for the launch of the Apogée Spa at Summit Medical Group also included a stethoscope that evokes the medical location of the spa. We created postcards, table tents for the cafeteria, and posters for around the medical campus.